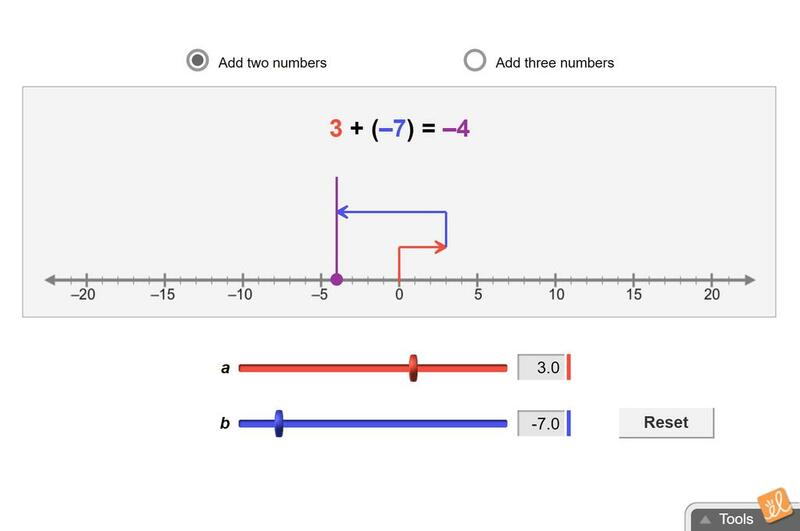 Add real numbers using dynamic arrows on a number line. Find the sum of the numbers at the end of the final arrow. Compare the numerical calculation.